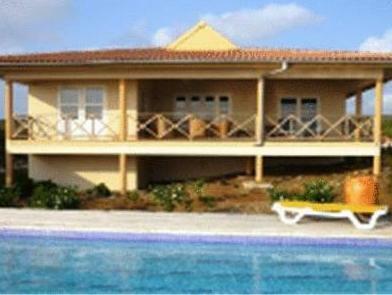 ﻿ Best Price on Caribbean Club Bonaire in Kralendijk + Reviews! Caribbean Club is a small scale and quiet resort is located in the middle of nature, close to the Northern dove sites at the foot of Bonaire’s hills. It is located right on the seafront, just 3.7 mi from downtown Kralendijk. The resort features 2 swimming pools with sun deck, a restaurant and kitchen facilities. All studio, suites and cottages at the Caribbean Club Bonaire feature a private porch, air conditioning and coffee-making facilities. International cuisine is served at the Caribbean Club's restaurant, which is open for breakfast, lunch and dinner. You can also enjoy a drink in the poolside bar. There is an on-site dove shop and the surrounding coast is ideal for scuba diving and snorkeling. The Caribbean Club Bonaire can help arrange activities and sightseeing.